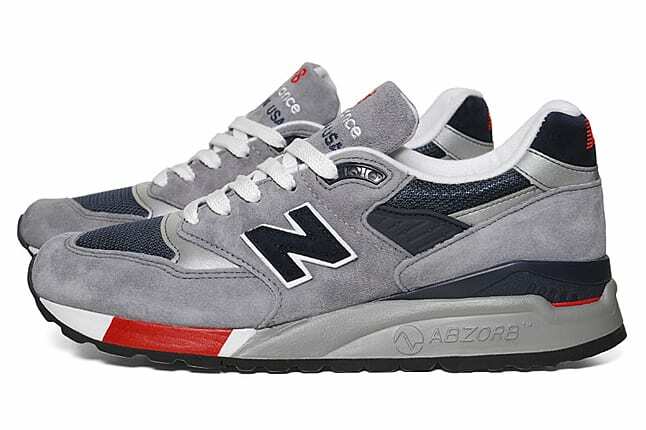 New Balance 998 Made in USA "Grey/Navy"
New Balance has dug into the vaults to bring back another classic. The often-overlooked 998 model is finally making its return after years of being MIA. Featuring a grey suede and navy mesh upper with red accents, these definitely have a patriotic feel to them. Made in the USA, they are a must have for any serious New Balance enthusiast. But act fast, as they are now available for purchase over at End Clothing in very limited quantities.